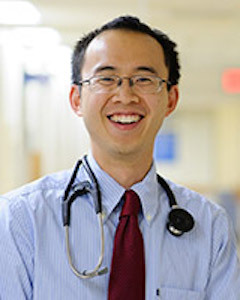 Michael Ho attended college at Cornell University, received his medical degree from Washington University in St. Louis, and completed a pediatric residency at University of Cincinnati and Baylor College of Medicine. After considering a career in neonatology, he decided to pursue in anesthesiology, and subsequently received his anesthesia training at Yale University. Following graduation, Dr. Ho has worked 7 years in private practice, 2 years moonlighting in neonatology, and 18 years in academic medicine. Throughout his career, he has believed that anesthesiologists are more than intraoperative technicians – they are Perioperative Consultants. It is this belief that has been the basis of his teachings and the driving force behind his courses. A perpetual student, Dr. Ho constantly strives to advance his understanding of perioperative medicine – and effectively convey that understanding to his students. In his 2 decades as an educator, he has held over 300 on-site courses, conducted over 400 online webinars, given over 10,000 oral board exams, and delivered over 20,000 hours of lectures. He has been awarded the Golden Globe Award for Teacher of the Year for 3 years in a row. His continuing educational efforts serve to maintain the quality of both his written and oral courses, and help ensure that they are up-to-date, accurate, and consistent with the goal of helping attendees pass by becoming Perioperative Consultants.